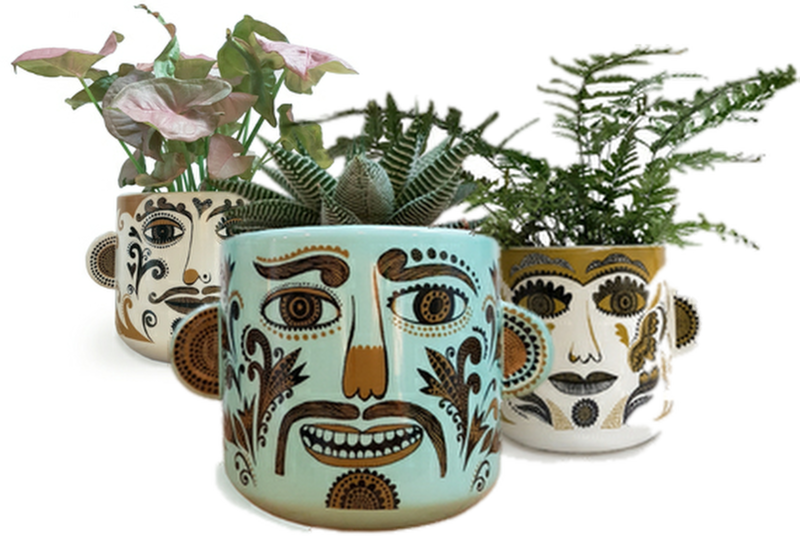 These new stoneware planters have a face on both sides so you can turn them around and talk to someone new when you get bored with talking to your plants. In lovely chunky stoneware with jaunty ears and patterny prints, these make a lovely gift for guys, gals and everyone in between. Retailing at £25 these pots measure 10cm in height which makes them the perfect size for succulents and herbs.All Lush Designs products are designed by Marie Rodgers and Maria Livings and feature their characteristic detailed, illustrative prints.